TSR have over thirteen years experience of working with Primary School pupils and teachers to support them with developing cricket. Our experienced staff are able to support you by creating a bespoke programme that will meet the needs of your staff and pupils to gain maximum benefit from the programme. All coaches are qualified ECB coaches who have undertaken enhanced DBS Checks, First Aid qualified and attending Safe Guarding and protecting children workshops. Congratulations to Park Hill Primary School for winning the Kenilworth Cluster Competition this year, thirteen school teams participated in the event that was exceptionally well hosted by Kenilworth Cricket Club. 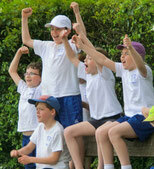 The children were provided with the chance to play four matches against other local schools during the day with the standard of cricket of a very high standard. 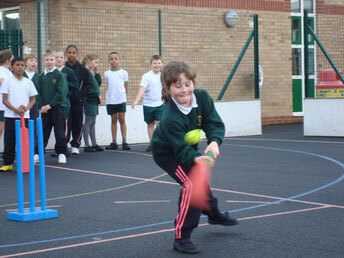 The event followed a five week programme of coaching in schools where TSR coaches supported children with their batting, bowling and fielding as well as game play. A special award was presented to All Saints Primary school who won the TSR Spirit of Cricket for the excellent sportsmanship they demonstrated.trated. 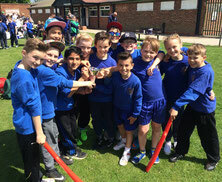 Two hundred and fifty children from eight Primary Schools across North Solihull came together at the Castle Bromwich Cricket Club for the Year 5 pairs cricket competition on Thursday 21st May. In a thrilling competition children played a very high level of cricket and thoroughly enjoyed the opportunity to play against other local schools. Twenty six School teams participated in the Baverstock Year 5 schools festival kindly hosted by Moseley Ashfield Cricket Club. 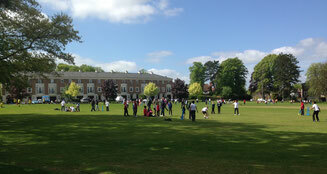 Played in glorious sunshine the festival provided all children with four matches of cricket to put their learnt skills into practice following a block of coaching from TSR coaches.